Businessmen offering sugar-free honey seem to be riding on the ignorance of consumers who don't really know what honey is made of. 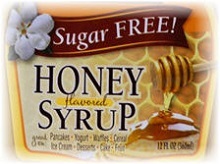 I was never able to understand why products such as "honey flavored syrup" with 0% honey and 100% Maltitol, can be sold as a healthy, natural sugar substitute for diabetics and those who need to limit their intake of sugar, and why "imitation honey" with contains maltitol and no honey at all can be blatantly placed on the shelves and yet appeal to consumers. Sugar-free honey isn't honey. So, for what reasons do consumers buy the idea of fake honey? What is the mindset of the consumers? Is it because consumers like the taste of honey so much that they want Maltitol syrup to also taste like real honey? However, this is a poor argument because with the myriads of artificial flavorings available, these fake honeys can easily win real honey in terms of taste hands-down. How about this proposition? People believe in all the goodness of honey except the calories from its sugar? But again, it just doesn't sound right. Why would one expect fake honey to possibly contain any of the goodness of honey? And what about the possibility that people actually believe that sugar-free honey is real honey but has all its sugar contents extracted and replaced by some artificial, zero-calorie sugar? This is far-fetched! But, even if it's possible, bad news! Artificial sugars are far worse than honey and in fact they have many negative health implications and can be dangerous! Honey is a form of sugar and we eat honey because it is a much more superior form of natural sugar. 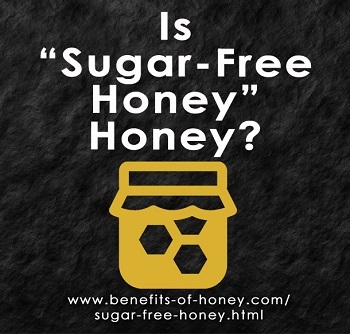 And because many people are unable to see this truth, marketers have successfully duped consumers into believing that sugar-free honey is a healthier choice than real honey and even into supposing that sugarless real honey does exist! 1. Are you eating real honey? 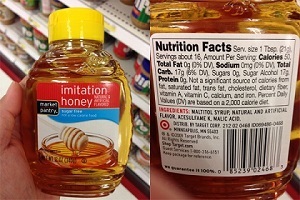 Check out these deceptive labels and claims on honey bottles: Eating Real Honey? 2. There are so many sugar-free sweeteners around - aspartame, sucralose, saccharin, etc. Do you know what they are made of and how they are made? More in: Sugar Substitute: What's behind each name?. 3. Do you know what a sugar alcohol is and why you should avoid it? More in: Are You Eating Sugar Alcohol?.